Outreach Tracts was born from his burden to make available to witnessing Christians gospel tracts that are scripturally accurate and contain a concise and straightforward gospel message. 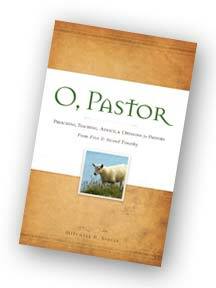 Tracts are available in a variety of interesting titles and are produced in an attractive full-color design. Every tract includes a compassionate invitation for the reader to respond and contain clear follow-up instructions. Download your free evaluation copy from the links to the right, or order a supply today to enhance your personal or ministry outreach. All tracts are printed 8.5 inches wide by 5.5 inches tall and are folded down to a convenient 3 inch by 5.5 inch size. 1. Online by clicking here. 3. By mail to the address below. Preaching, teaching, opinions and advice for Pastors from First and Second Timothy. 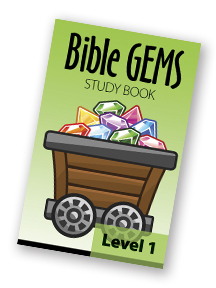 Level One: A Bible study guide designed for the youngest children to be assisted by their parents, or children's church, Sunday School, and day school teachers. Designed to help little ones find a blessing just for them from God's Word. Introductory articles included provide inspiration, as well as give suggestions for using this guide. The format is 5.5 x 8.5 inches, fill in the blanks. Click here to download a sample page. 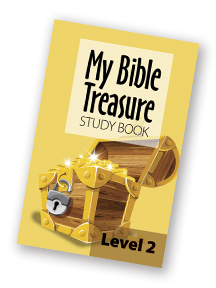 Level Two: A Bible study guide for older children, perhaps lower elementary school age, for independent or adult-assisted study. Introductory articles included provide inspiration, as well as give suggestions for using this guide. The format is 5.5 x 8.5 inch, fill in the blanks. Level Three: This special guide can be used by adults, teens, upper elementary school age children; generally, anyone of any age may choose to use this one. Introductory articles included provide inspiration, as well as give suggestions for using this guide. An 8.5 x 11 inch fill in the blank format. Level Four: A more extensive and challenging format may be the choice for the more experienced or mature believer. Introductory articles included provide inspiration, as well as give suggestions for using this guide. An 8.5 x 11 inch two-page format. Why do people use drugs? Because they like the feeling they get by putting various substances into their bodies with the hope of producing calmness of mind, joyfulness of heart, purpose for living, and power for success in life. Celebrate Christmas walks the reader through Luke 2:11, explaining the signifigance of the Savior's arrival on this earth as Redeemer for all mankind. A powerful, practical and passionate salvation appeal for the Christmas season. An overview of what the Bible has to say about itself, Jesus Christ, Heaven, sin, Hell, salvation, church, baptism, and mankind's choice between Heaven and Hell. 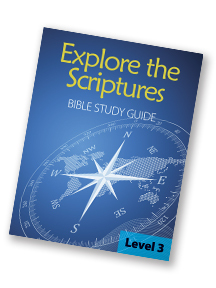 Each topic is addressed in a concise easy-to-read manner with numerous Scripture references for each topic. The Bad News of the consequences of sin and the Good News of the Gospel interweave to present the reader with the necessity of receiving Christ as Savior. A Bible message about Heaven in an easy-to-read format. This tract concludes with a call to the reader to ensure his own eternal life in Heaven and follow-up steps on how to grow in the Lord. Finally, Good News . . . 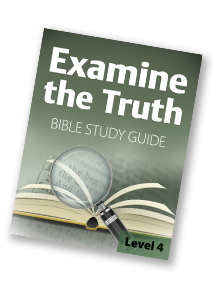 Using an attention-getting approach to teaching scriptural truth this tract addresses such questions as: 1. You can know why you exist, 2. You can be happy, 3. You can be forgiven of all your sins now and forever, and more. This tract presents the reader with a practical explanation of what a Christian is, what a genuine Christian believes and how one becomes a Christian. In Times Like These . . .
A thought provoking presentation of Biblical truth applicable to today's troubled times. Saved? What does it mean? This tract presents the reader with a practical explanation of what the Bible means by "saved" and how one becomes a Christian. How can a Teen get to Heaven? Written just for teens, this tract presents the plan of salvation in a concise and urgent manner. How do we find happiness in life? Only through Him who is the source of all joy. A helpful "booklet" in a Bible bookmark form to enhance personal Bible reading.